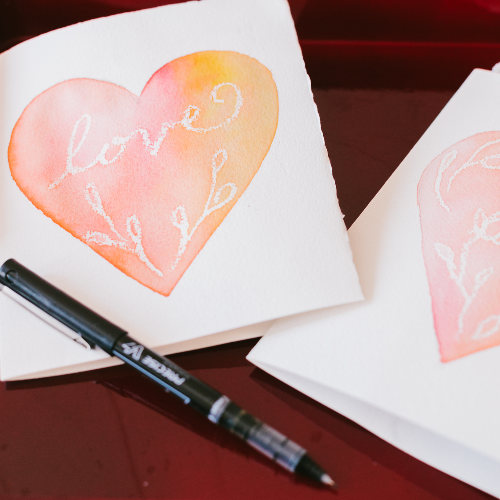 This after-school craft session let's kids explore a variety of mediums as they create Valentine cards for the people they love. Let your kid's imagination get crafty as they show appreciation for the important Valentines in their life like mom, dad, grandparents, teachers, and friends! Their brains are going to be buzzing with sugar shortly, but we are amped and ready to make Valentine's Day more than just a sweets-overload for your kiddos. Before the lollipops and sugar hearts hit their bloodstream, drop them off at the Zest Studio for some crafting-fun after school! It's that time of year when we all slow down, and take the time to show we care. This hour of crafting will let your munchkins do exactly that! A fun after-school snack will be provided, as they play with a variety of mediums for making Valentine cards this February. Supplies and instruction for watercolor, collage, pen and ink, and stamping will be provided. Give your little Valentine the gift of creativity this February and a chance to show they care. A win-win in our book! * For ages 5-12 years old.